The file may be printed on thick card stock and then placed in a frame with non-glare glass. A great place to get a frame is Hobby Lobby (always coupons available) or Michael's. Almost all office supply stores will print the poster for you (I recommend the thickest card stock available). 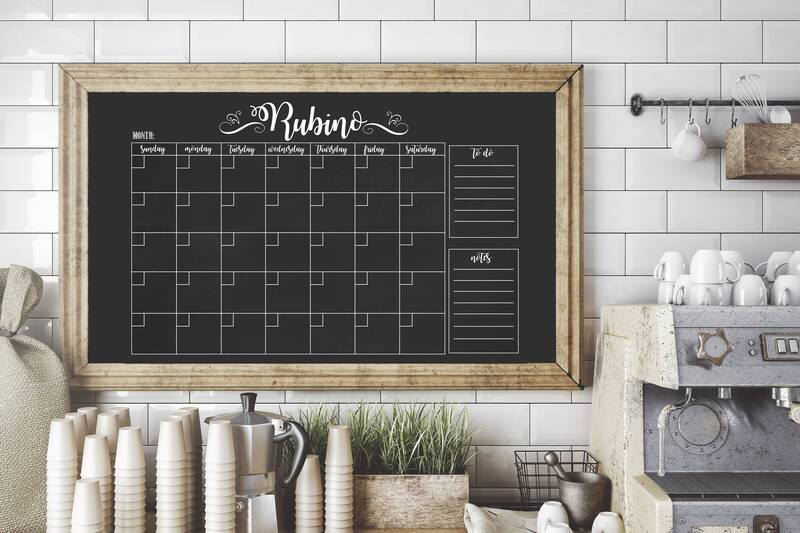 Purchase chalkboard markers and you're all set to organize your calendar (*you can even buy separate colors for each family member!). 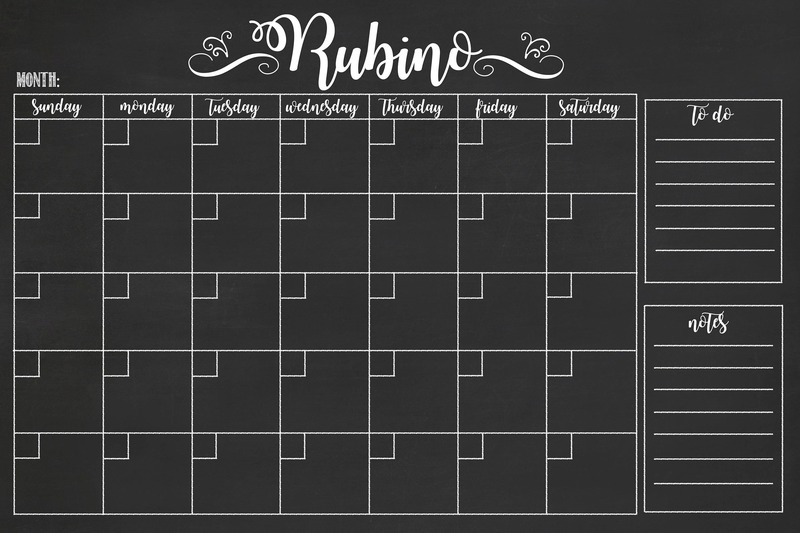 The calendar is formatted in landscape design with generous space for each day. Again, you will only be receiving a DIGITAL file from me, NOTHING will be physically shipped to you! RECEIVING YOUR FILE - You will receive your proof via etsy convo within 2 business days from when you purchase. Once approved, your digital file will be ready shortly after. Your finalized digital file in jpeg format will be sent via email to the address provided (otherwise it will be sent to your Etsy associated email account). Nothing will be sent to a mailing address.